Upon the death of Edward VI in 1553, Mary Tudor brought back the Roman religion to England; and a number of influential Protestants found it expedient to flee the realm. Two hundred of those exiles took refuge in the German city of Frankfort-on-the-Main in June of 1554. They were a divided company. Some were “prayer book men” or “Anglicans”, who, while thoroughly evangelical in their sympathies, were deeply attached to the English Prayer Book of 1552. If a further revision of worship had to be made, they wanted it to be along Anglican lines, and no mere translation of Calvin. At first the Frankfort congregation used an “interim” service which was Calvinistic. Soon the proposal was made that William Huycke’s English translation of Calvin’s Genevan liturgy should be introduced for permanent use, since it was “moste godly and fardeste off from superstition.” When that suggestion did not meet with swift approval, still another was proposed: that both the English Prayer Book and the Genevan order should be set aside, and an entirely new liturgy devised. Thus, in January of 1555, Knox and four associates—all of whom were of the “Calvinist” persuasion—commenced to work, using Huycke’s translation and, we may be sure, the sober Genevan edition of Calvin’s own liturgy. Out of the labors of these men came the first version of the service being used in this celebration. But inasmuch as it savored of Geneva and therefore displeased the “Anglicans”, the manuscript was not well received; indeed it was left quite unused. The troubles at Frankfort grew daily more vexing. Finally, Knox and Whittingham (“Calvinists”) and Parry and Lever (“Anglicans”) succeeded in bringing out a “Liturgy of Compromise” which was modeled after the English Prayer Book and accepted by the whole congregation in February of 1555. Peace endured for a short season. But in March a fresh contingent of Anglicans arrived from England; and in no time they accomplished the downfall of John Knox. Knox repaired to Geneva. In October, he was joined there by certain of his collaborators from Frankfort. That little group, augmented by some twenty of their countrymen already in the city, proceeded to organize an English congregation at the Church of Marie la Nove. They drew their liturgy almost entirely from the unused manuscript which the committee of “Calvinists” had prepared at Frankfort, adding a collection of fifty metrical psalms and a translation of Calvin’s catechism. On February 10, 1556, The Forme of Prayers appeared from John Crespin’s press. The English congregation at Geneva, which was the inspiration of the Scottish reform after 1560, existed four years, enrolled 180 souls, and provided Knox the happiest days of his ministry. But Mary Tudor succumbed, and as early as 1559 the exiles at Geneva began to return to Elizabethan England; they carried along their liturgy which was soon taken up by Englishmen of “puritan” leanings. Knox alone was unwelcome there, on account of his ill-timed tract, First Blast of the Trumpet against the Monstrous Regiment of Women, which was aimed, of course, against Catholic Mary, but landed instead upon Elizabeth. So he returned to Scotland, full of zeal to reform the Kirk according to the measure of Geneva, which he pronounced “the maist perfyt schoole of Chryst that ever was in the erth since the dayis of the Apostillis.” Among his first accomplishments was the introduction of Genevan worship in place of the English Prayer Book, which the Protestants of Scotland had been accustomed to use. Thus, The Forme of Prayers (or The Book of Common Order, as it came to be called) was required for the administration of the sacraments in 1562, and for all other liturgical purposes in 1564. It served the Scottish Kirk for some eighty years, till the appearance of the Westminster Directory in 1645. The spirit of the liturgy was wholly Reformed. The Scottish minister enjoyed a large measure of freedom, that “as Gods holy spirite moveth his harte,” he might now and then frame his own prayers. Nevertheless he was expected to honor the liturgy, which belonged, after all, to the whole people and was specifically called the “common order”. Schools were founded for literacy, that the Bible might be opened to everyman and the liturgy enjoyed by all. Moreover, every means was taken to make worship itself a corporate action. The vernacular was used and loudly spoken, so that everyone could participate by the direct medium of speech. And inasmuch as the people were no longer dependent upon the ceremonial to follow the service, only the simplest and most useful forms were retained. Even those symbols which had been hallowed by time and usage were cast out of the churches if they were apt to mislead the people. It was wrong to preach one thing and symbolize another; it was right to say plainly what one meant. The ministers diminished the distinction between clergy and laity by discarding the priestly vestments and wearing none but the preaching habit. The Scriptures were also translated; and every church was admonished to “have a Bibill in Inglische,” which was expounded daily in the large towns, that even those who did not read could benefit. Psalms were cast into metrical forms and set to common tunes in order to give the people themselves a voice in worship. A complete Scottish Psalter appeared in The Book of Common Order of 1564. Calvin conducted the Sunday service from the Communion table, entering the pulpit only to preach the sermon. He followed that procedure because of his staunch belief that the proclamation of God’s Word ought normally to be followed by the administration of the Lord’s Supper. In Scotland, however, the Sunday service seems to have been read from the pulpit, perhaps for acoustical reasons. Nevertheless, the pulpit and “the holy table”—together—were the most prominent furnishings in the Scottish churches. What did they mean? They were the instruments of the gracious heavenly Father who speaks and gives to His people, and invites them, before all else, to hear His Word of judgment and reconciliation, and to receive His gifts of forgiveness and sonship. In that, chiefly, lies the meaning of worship according to the Reformed tradition. That principle also governed the manner in which the minister used the Scriptures in preaching. Knox doubted that anything was less appropriate of a Christian minister than he presume to control God’s way among men by parceling out the Scriptures in bits and snatches, or by preaching a sermon in which God’s own Word was buried beneath a heap of human commentary. He insisted therefore that, in preaching, the Scriptures should be expounded book by book, chapter by chapter, in a continuous and orderly fashion. And all of this, in turn, rested finally upon Knox’s conception of preaching, which was rather unlike the one to which we have become accustomed. The sermon was not the preacher’s prerogative, to be used by him alone for winning souls or for promoting right-living through the oncoming week. It was most of all the Word of God, made real, alive and effective in the hearts of men through the presence and action of the Holy Spirit. It is this Word which awakens our faith. And when we give expression to our faith, true worship occurs. When we hear the message of God’s judgment and mercy, we are convicted on our sins and desire to make confession of the same. When, through the same Word, the forgiveness of God becomes real to us, we cannot but express our praise and thanks. And when the Word draws us into relationship with all sorts and conditions of men, we are bound to make prayers for our brethren in need. It is this continuous relationship between hearing and response which gives the Reformed liturgy its basic character. A rubric (direction) in Knox’s Genevan liturgy called for a monthly celebration of the Holy Communion. Although that rubric remained unchanged in the Scottish editions of the liturgy, it was soon overcome by the first Book of Discipline (1560) which declared that “four tymes in the year” was “sufficient” for the Lord’s Supper. And since care was to be taken to avoid “the superstition of tymes” (that is, the church year), the first Sundays in March, June, September and December were arbitrarily appointed. The first part of the Communion Exhortation was not taken from Calvin, but from Thomas Cranmer, Archbishop of Canterbury, who prepared it for the English Prayer Book. Nevertheless, the distinctive features of Calvin’s practice prevailed even in this section of The Forme of Prayers. According to the warning of St. Paul, all who worshiped were exhorted to examine themselves before they presumed to approach the Lord’s table, and the unworthy were told to refrain entirely. The liturgy was built upon the promise that a true Christian congregation would be a disciplined congregation which lived in obedience to the will of God. Accordingly, the Holy Communion was reserved for those who were distinguished by sincerity of faith and holiness of life. The unfaithful, who were strangers to Christ, and the callous sinners, whose conduct made it plain that they did not belong to Him either, had no place at His Communion; they were to be excommunicated, “fenced from the table,” lest the sacrament be soiled and they be guilty of the Lord’s body and blood. The critical issue of the Christian life was precisely one’s fitness to receive the sacrament. Knox administered the Communion after a fashion which he deemed to be consonant with the New Testament. The table was never prepared before worship, apart from the Word, which (as Calvin said) “ought to resound in our ears as soon as the elements meet our eyes.” Therefore the bread and wine were not brought to the table until the sermon had been preached and it came time for the Words of Institution to be read; for by these means the commands and promises, which our Lord made concerning His Supper, could be added to the elements, giving them, their proper meaning and their reality. It was the practice in some parts of Scotland to lock the church doors after the sermon, so that none might receive the sacrament apart from the Word. That custom underscores the point that we the people, rather than the elements, are thereby “consecrated”. The Word is not addressed to the bread and wine, as if to change them; it is addressed to us, that (as Knox put it) “Christe might witnes unto owr faithe … with His owne mowthe,” promising us the Communion of His body and blood. The communicants came forward and sat down around the table, which was ample in size and usually arranged in a U or T shape in the chancel or on the floor of the nave. First the minister broke the bread—a symbolic action, called the Fraction, which the Scots deemed to be a quite distinct feature of the Lord’s Supper. Then he passed the bread and wine to the communicants on either side of him, and they in turn “divided” the elements among themselves. Thus, the holy table was appointed for the whole family of God. By sitting down together and by serving the elements to one another, the people were able to realize their fellowship and mutual priesthood in the Body of Christ. Pew Communion was the way of the English Nonconformists; and the Scots did not hesitate to brand it a “mangling of the sacrament”—until, alas, a Glasgow divine introduced it to the Scottish Kirk in the first quarter of the nineteenth century. Editor: This short treatise on the liturgy of John Knox was published at the fourth centenary of the Church of Scotland celebrated at Trinity Presbyterian Church in Nashville, Tennessee on October 27, 1960. For a detailed treatment of Knox’s liturgy, see Bard Thompson, Liturgies of the Western Church (Philadelphia, PA: Fortress Press, 1980), pp. 285–307. Editor: Bard Thompson received his Ph.D. in church history from Columbia University in 1953 and was ordained as a minister in the Evangelical Reformed Church, which later merged with the Congregational Christian Churches forming the United Church of Christ. At the time this article was written, Thompson was Professor of Church History at Vanderbilt University. He was also preparing a book on Reformed worship, which he published under the title Liturgies of the Western Church (1961). In 1965, he joined Drew University as professor of church history and served as dean of the graduate school from 1969–1986. Bard Thompson passed away in 1987 at 62 years of age. For the source of this quote, see The Works of John Knox, 41. See The Works of John Knox, 20. See See British Reformers: Writings of John Knox, 454. See British Reformers: Writings of John Knox, 454. Editor: As far as I know, Calvin never states that this is the reason he led the service from the communion table. Editor: Since the Scottish Presbyterians practiced table communion—in which the members of the church actually sat at a table to receive the elements—they did not ordinary have communion tables set up in the worship assembly except for those Sundays when they were observing communion. Editor: I have not been able to find the source of this quote. Thompson also cites it here and in Liturgies of the Western Church (p. 192), but he does not provide the source. Editor: Thompson is referring to Thomas Chalmers. On the history of table communion versus pew communion, see Benjamin Breckinridge Warfield’s article “The Posture of the Recipients at the Lord’s Supper: A Footnote to the History of Reformed Usages” in Journal of the Presbyterian Historical Society (1901–1930) Vol. 11, No. 6 (June, 1922), pp. 217–34. The first Reformer to arrive on the Genevan scene was the fiery Frenchman, William Farel, a fearless campaigner for the Word of God. As soon as he had gotten the Reformation underway (c. 1534), Farel replaced the Roman Mass by a liturgy, called La Maniere et fasson, which he had written some years before.3 His simple, wordy, but ardent services constituted the first evangelical book of worship in the French language. It was Farel who persuaded the retiring young Calvin to quit the scholar’s cell and get his hands into the difficult business of transforming Geneva into an evangelical community. Working side by side, they used the plain services of La Maniere when they conducted worship. In April of 1538, the two ministers were expelled from Geneva, having exceeded the patience of the magistrates by their program for a disciplined community. Calvin spent his exile in Strassburg, where he enjoyed the Christian wisdom of Martin Bucer, the Reformer of that city, whose influence upon the Reformed churches has never been fully appreciated. While he lived among the Germans of Strassburg, Calvin was pastor of a congregation of French refugees. For their sake, he appropriated Bucer’s German liturgy; and when he had gotten it cast into French, he revised it measurably and used it to lead his people in worship. That was the original edition of The Form of Prayers. We ought not say, as many scholars do, that it was a mere copy of the German rite of Strassburg. Actually, Calvin kept the best of Farel’s primitive liturgy and contributed much of his own spirit as he refashioned the words of Bucer. Calvin was recalled to Geneva in 1541. In place of Farel’s liturgy, he introduced The Form of Prayers, which he had brought along from Strassburg. Though the magistrates were glad enough to have him back, they could not accept some of the liturgical ideas which were written deeply into that liturgy. Chief of these was Calvin’s lifelong insistence upon having the Lord’s Supper every Sunday: “It was not instituted by Jesus for making a commemoration two or three times a year … Christians should use it as often as they are assembled.” The magistrates feared of such an innovation; they would not even entertain Calvin’s concession of having the Supper once a month, but insisted upon the schedule of quarterly Communion which had been proposed by Zwingli, the Reformer of Zurich. Even by the end of the sixteenth century, the Zwinglian method prevailed over a large segment of Protestantism and brought about the flattening-out of Reformed worship, which came more and more to be dominated by the sermon. The Genevan liturgy stood opposed to that drift. Despite the scruples of the magistrates, it remained a unified service of Word and Sacrament; on those days when the Lord’s Supper was not celebrated, the portions of the liturgy pertaining to the Supper were simply omitted. But Communion Sunday or not, the whole service was conducted from the Lord’s Table, except when the Minister mounted the pulpit to proclaim the Word of God. The two great symbols of Reformed worship—pulpit and Table—were thereby drawn together in common expression of the God who speaks and gives to His people. The essential response of those who worshiped was to bear and receive His gracious gifts. The Form of Prayers was the most authentic expression of the way of worship among the early Calvinists. Indeed, it was the inspiration for all the great Reformed liturgies of the Reformation age. Therefore it drew together in a fellowship of worship the Huguenots of France, the Presbyterians of Scotland, the Dutch Reformed congregations, and the German Reformed people (whose modern American representative is the United Church of Christ, through the Evangelical and Reformed branch). We should not assume, however, that all of these services were exactly alike. The Calvinists placed no particular premium upon a similarity of forms. What they really held in common was a body of ideas about the meaning of Christian worship. What were some of those ideas? First, the Calvinists agreed with Luther that a true Reformation could never be brought about by sheer human power, least of all by sudden and drastic changes in the life of the churches. It could only be accomplished by the proclamation of God’s Word among men. Luther, in fact, was very reluctant to impose a program of radical reforms upon the people, lest they become confused and bitter. He preferred to purify and reinterpret many of the old practices which Christians had been accustomed to see, hear and do in church. At just that point, the Reformed theologians tended to exceed Luther’s prudence. They argued that if the Gospel were to be given a really clear and authentic expression in worship, then it would be necessary to abandon the Mass, without attempting to fix it up, and to find new forms which would express the Gospel with the utmost simplicity, precision and power. Therefore, the Reformed liturgies had something of a radical character. They were meant to be profoundly simple. They did a lot of teaching, explaining and exhorting in an effort to edify and be precise. They rejected all things which were deemed unscriptural, ambiguous, or sentimental. They permitted no bric-a-brac to confuse the Gospel or complicate the essential need of the worshiper to meet God in His Word. Theological integrity was their hall mark. Calvin believed that his liturgy conformed “to the custom of the ancient church,” not to the custom of the Medieval church. The second idea has been alluded to several times. Our spiritual forebears went to church not to rush into words or to give God gifts, but to hear the Good News of forgiveness and sonship, and to receive that great gift with thanksgiving and joy. They conceived it to be God who spoke in worship, provided His Holy Spirit was in the midst of the congregation, making His Word real, alive and effective in the hearts of men. Therefore, in essence, a Reformed liturgy was the fervent prayer of the people to hear the Word of God and to participate in the Communion of His Son, and a heartfelt response of praise and supplication by those who had heard and received, whose faith became articulate so that they could not contain the joy and wonder of it all. Now, by modern practice, some things may seem strange about Calvin’s liturgy. What, for instance, is the meaning of that grisly list of sinners (on p. 7) who are told to stay away from the Lord’s Table? Calvin’s whole liturgy rested on the assumption that a true Christian community would be a disciplined community. And that idea, in turn, arose from his conviction that the Christian life was one of profound obedience to the will of God. Therefore, the Lord’s Supper was reserved for those “people who are distinguished by sincerity of faith and holiness of life.” Our Lord did not intend to give the benefits of His Table to any except His disciples, to any “except they belong to His household of faith.” The unfaithful, who were strangers to Christ, and the sinners, whose conduct made it plain that they did not belong to Him either, had no place at the fellowship meal; they must be excommunicated, excluded from the communion, fenced from the Table, lest the holy sacrament of our union with Christ and with one another become soiled and meaningless. Thus, the critical issue of the Christian life was precisely one’s fitness to go to the Lord’s Table. Calvin also handled the elements of bread and wine differently. He much preferred the use of common household bread, because it was more primitive and less likely to foster superstition. Grape juice, had it been invented, would scarcely have been the vogue in Geneva. Never was it the custom in the Reformed churches to prepare the Communion Table before worship or apart from the Word which “ought to resound in our ears as soon as the elements meet our eyes.” Fearful of idolatry, Calvin did not have the bread and wine brought to the Table until it was time for the Words of Institution and the Communion Exhortation, through which the very commands and promises of Christ could be added to the elements, giving them their true meaning. That, said Calvin, is the “Word which seasons the elements” and makes the sacrament valid. But we ought not suppose that the elements are thereby changed. We, the people, are the ones who are consecrated by this “lively preaching of the promises of Christ.” He does not address the bread, commanding it to become His body; He speaks to us, calling upon our faith and promising us the communion of His body and blood. Neither did Calvin believe that the ministers should be the last to receive the elements, as a gracious host would do at his own banquet. Christ Himself is both, the Host and the Food of this spiritual feast; and the ministers, who are leaders of Christians, should be the first to partake of it. This short treatise on the Genevan Liturgy was published at the celebration of the four-hundredth anniversary of the Presbyterian Church held on November 18, 1959 at Trinity Presbyterian Church in Nashville, Tennessee. Bard Thompson received his Ph.D. in church history from Columbia University in 1953 and was ordained as a minister in the Evangelical Reformed Church, which later merged with the Congregational Christian Churches forming the United Church of Christ. At the time this article was written, Thompson was Professor of Church History at Vanderbilt University. He was also preparing a book on Reformed worship, which he published under the title Liturgies of the Western Church (1961). In 1965, he joined Drew University as professor of church history and served as dean of the graduate school from 1969–1986. Bard Thompson passed away in 1987 at 62 years of age. For a detailed history of the Genevan liturgies, see Thompson, Liturgies of the Western Church, pp. 183–224. In 1 Corinthians 15, Paul compares and contrasts Adam and Christ. “In Adam all die … in Christ all will be made alive” (v. 22). Paul also refers to Christ as “the second man” and “the last Adam” (vv. 45, 47). The first Adam is the first man of God’s first creation. The last Adam is the beginning of God’s new creation. The first man was “of the earth, a man of dust”; the second man is “of heaven” (v. 47). To the first Adam, God gave a special day, the Sabbath day (Gen. 2:2–3). To the last Adam, God gave a special day, the Lord’s Day (Rev. 1:10). The relationship between the Sabbath and the Lord’s Day is like the relationship between Adam and Christ. The relationship between them is one of shadow and reality or type and fulfillment. As Adam is a type of Christ, so too, the Sabbath is a type that points forward to and is fulfilled in the Lord’s Day. But the Lord’s Day is only a partial fulfillment of the Sabbath; its ultimate fulfillment is the consummate Sabbath of the eschaton. When God created Adam, he gave him the Sabbath day to remind him of his identity and of his destination. As the image of God, he imitated God by working six days and resting on the seventh. Thus, the Sabbath day reminded him of his identity. It also reminded him of where he was going. It pointed forward to his destination: the eternal Sabbath; that is, the heavenly, unceasing rest in the age to come. The weekly day of rest was the earthly counterpart or type of the heavenly rest that Adam would have entered had he been obedient to God. The earthly Sabbath was a temporary ordinance that would end at the consummation, when the shadow would give way to the reality. The weekly Sabbath would give way to the ultimate Sabbath. It would end because the reality of what it represented would be possessed. When Christ, the new Adam, rose from the dead, he entered into that eternal, heavenly rest. By his personal, exact, and entire obedience, he attained what the first Adam would have attained had he been obedient. Christ, in his resurrection from the dead, received eternal life and glorification, which the first Adam never had. He entered a state of glory, the same state that we will enter when Christ returns. However, believers are already “a new creation” because we have been united to the risen Christ, the beginning of God’s new creation. “The old [what we were in Adam] has passed away; behold the new [what we are in Christ] has come” (2 Cor. 5:17). We are no longer dead in our sins; we have been made alive together with Christ (Eph. 2:1–10). Hence, we no longer live according to the old, sinful nature, but according to the resurrection life of the new nature. And that’s why the Lord’s Day is so significant for the Christian. It’s the day of resurrection; it’s the day of new creation. The saints in the Old Testament worshiped on Saturday because the new creation had not dawned. They worshiped on the Sabbath of the first creation, the Sabbath of the first Adam. We, however, worship on the first day of the week because it’s the day of the new creation, which emerged with the resurrection of Christ, the last Adam. The Lord’s Day reminds us of our new identity in Christ, and worshiping on the Lord’s Day reorders our life in light of our new identity. It also points us forward to what we will become when Christ returns and gathers us to himself. When we gather for worship on the Lord’s Day, we experience a foretaste of what’s going to happen at the end of the world. Thus, the Lord’s Day orients our life toward the world to come. It teaches us to live as strangers and aliens on earth, to live as pilgrims seeking a better country, a heavenly one. It teaches us not to set our hopes on attaining paradise on earth but to fix our eyes on the risen and ascended Christ (cf. Col. 3:1–4). Thus, worship on the Lord’s Day is absolutely essential to the spiritual health and well-being of the church and of every believer. It reorders our life in light of your union to Christ. It reorients our life away from earthly and temporary things toward the heavenly and eternal. And it redirects our steps away from the old order and toward the new order, the age of Christ and the Holy Spirit by whom and in whom we live. On the night before his crucifixion, Jesus shared a meal with his disciples. Since this was the last in a series of meals he shared with them during his ministry, it’s known as the last supper. The disciples were discouraged when Christ said he would not eat with them again until the kingdom comes (Luke 22:18). The thought of their intimate fellowship with him coming to an abrupt end filled them with sadness. At the time, they failed to realize that even though Christ was about to depart from this world and return to his Father, they were not going to be completely cut off from fellowship with him. To the contrary, it was better for them that Christ should depart because, after his departure, he would send the Holy Spirit to abide with them forever (John 16:7). Christ assured them that through the Holy Spirit, they would continue to enjoy the most intimate kind of fellowship with him. In the person of the Spirit, Christ himself would come to them and commune with them. That’s why, before he ascended into heaven, he said to them, “Behold, I am with you always, to the end of the age” (Matt. 28:20). Christ not only promised to give the disciples the Holy Spirit, he also instituted a sacred meal through which they could continue to enjoy table fellowship with him, even after his departure. This meal, which is known as the Lord’s Supper (1 Cor. 11:20), was given to the church as a perpetual, sacred ordinance of public worship. 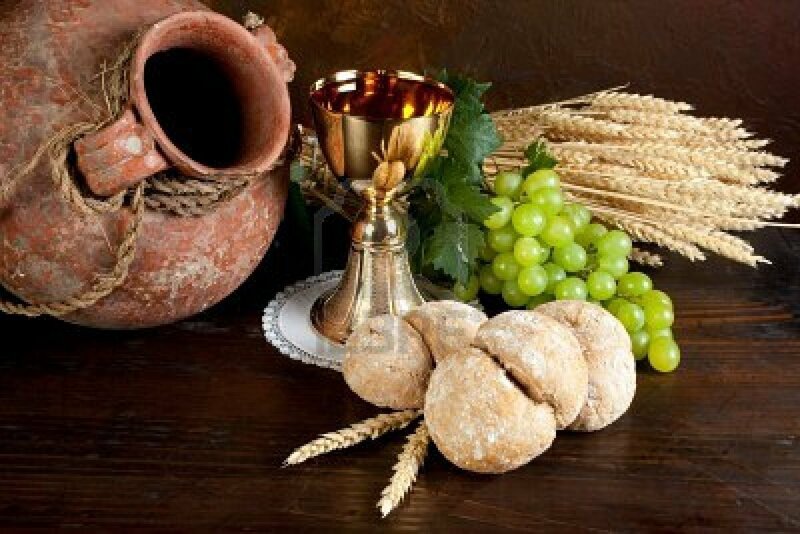 Christ commanded his church to “do this”; that is, “eat this bread and drink the cup” as a regular part of public worship “until he returns” (1 Cor. 11:24–26). Hence, on the night in which he was betrayed, Jesus not only shared a meal with his disciples (the last supper), he instituted a meal (the Lord’s Supper) as a sacrament through which he would continue to have table fellowship and communion with the saints by his Spirit. In the Gospels, Jesus is frequently criticized by his enemies for eating with sinners. For example, Luke tells us that when “tax collectors and sinners” were drawing near to hear Jesus, “the Pharisees and the scribes grumbled, saying, ‘This man receives sinners and eats with them’” (Luke 15:1–2). By making this statement, they were attempting to prove that Jesus was not a prophet. The theological significance of Jesus eating with sinners, however, was far more profound than they realized. Jesus was not merely a prophet but was and is, in fact, the eternal Son of God. Sinners were having fellowship in the form of a meal with the one in whom the whole fullness of deity dwelt bodily (Col. 2:9). They were eating and drinking with God himself. The simple fact that Jesus shared a meal with those who, because of sin, had been cut off from fellowship with God signified that salvation had come to sinners. When Adam and Eve sinned, they were driven out of the Garden of Eden away from the presence of the LORD. They were cut off from the intimate communion with God, which they had once enjoyed. But the Lord Jesus Christ, the new Adam, came to restore and perfect the fellowship with God that was lost in the fall. Christ came to end the hostility between God and man and to reconcile them in a covenant bond of communion and fellowship. By eating with sinners, Christ heralded the good news that in him, “God was reconciling the world to himself, not counting their trespasses against them” (2 Cor. 5:19). His table fellowship with sinners was a visible gospel. It visibly proclaimed the good news of salvation for the lost. In Luke 15, when Jesus was criticized for eating with sinners (vv. 1–2), he told three parables in response to the criticism: the parables of the lost sheep (vv. 3–7), the lost coin (vv. 8–10), and the prodigal son (vv. 11–32). These parables explain the significance of Jesus receiving sinners and eating with them. Eating with sinners was a sign that the lost sheep had been found, the lost coin had been recovered, and the prodigal son had returned to his father’s house and was feasting at his table. Thus, by eating with sinners, Christ visibly proclaimed the good news of salvation to the lost; his actions symbolized and confirmed the message he preached. This is why Jesus characterized evangelism as an invitation to attend a feast in the Father’s house. In the parable of the great banquet, for example, the master of the feast orders his servants, “Go out quickly to the streets and lanes of the city, and bring in the poor and crippled and blind and lame” that they may partake of the feast (Luke 14:21). When the master discovers that there is still room, he sends his servants out again saying, “Go out to the highways and hedges and compel people to come in, that my house may be filled” (v. 23). Thus, evangelism may be characterized as an invitation to all people without exception to come to the Father’s house and sit as welcome guests at his table and enjoy loving fellowship and communion with him by his Spirit through the merit and mediation of Jesus Christ. By the simple act of eating with sinners, our Lord Jesus Christ was visibly proclaiming the good news of salvation for the lost. Paul’s aim in 1 Cor. 11:17–34 is to correct an error in the church at Corinth. In vv. 17–22, he states the error, and in vv. 23–34, he provides the solution. To rightly interpret the verses that state Paul’s solution to the error, one needs to know exactly what the error is that he’s addressing. Paul describes the error as eating and drinking the Lord’s Supper in “an unworthy manner” (v. 27). So the error had to do with their manner of observing the Lord’s Supper. The solution to this error is briefly stated in v. 28, “Let a person examine himself, then, and so eat of the bread and drink of the cup.” To understand what Paul means by self-examination, one needs to interpret this statement in light of the error in the church that Paul is seeking to correct. How exactly were the Corinthians eating and drinking the Lord’s Supper in “an unworthy manner”? They were observing the Lord’s Supper in a way that created divisions or factions among them (v. 18). As a result, the church was divided into two groups: one group which had plenty of food to eat and drink (the haves), and the other group which had nothing to eat and drink (the have nots). The haves were selfishly feeding themselves until they were completely full, while the have nots were left with empty stomachs. “One goes hungry, another gets drunk” (v. 21). The haves were sinning against the church. They were treating their brothers and sisters in the Lord with contempt. So Paul sternly rebukes them, “Do you despise the church of God and humiliate those who have nothing? What shall I say to you? Shall I commend you in this? No, I will not” (v. 22). By their selfish behavior, the haves were depriving their brothers and sisters not only of ordinary food that would nourish their bodies (note: the Lord’s Supper was an actual meal at that time) but of the sacred food that would nourish their souls. By selfishly feeding themselves and leaving nothing of this sacred meal for others, they were cutting them off from the blessed communion in the body and blood of Christ that they would have received by participating in the meal (10:16). Their division of the church into factions and deprival of one group of saints of these spiritual benefits was an outrageous sin against the church, against the sacrament, and against Jesus Christ himself, who died for all the saints and who gives his body and blood through the bread and wine of the Lord’s Supper as spiritual nourishment for the soul of every believer. Thus, the haves were sinning against the spiritual realities signified by the bread and wine, namely, the body and blood of Christ. By eating the bread and drinking the cup of the Lord in an unworthy manner, they were “guilty concerning the body and blood of the Lord” (11:27). Consequently, they were being disciplined by God with infirmities, illnesses and even death (v. 30). It is important to note that those who were punished by God in this way were genuine believers. Their punishment was not eternal condemnation. To the contrary, they were being disciplined by their heavenly Father, so that they would not be condemned along with the world. The divine punishments that they incurred were temporal judgments not eternal (v. 32). If the error at Corinth was that they were observing the Lord’s Supper in a manner that created divisions among the church, and the solution to that error was self-examination, then what exactly does self-examination mean? If the problem that Paul is correcting is division, then the solution to the problem is don’t create these divisions when you eat the Lord’s Supper. Instead of feeding yourself to satisfaction and leaving nothing left for your brothers and sisters, wait for them and make sure they also have food to eat. That’s essentially what Paul says in v. 33, “So then, my brothers, when you come together to eat, wait for one another.” But what if someone is starving and he can’t wait for the other Christians to arrive? Well, he should eat something at home before coming to church. “If anyone is hungry, let him eat at home—so that when you come together, it will not be for judgment” (v. 34). In context, therefore, self-examination means to examine your conduct with respect to the unity of the church and with respect to the other members of the body of Christ. If your conduct is such that you have eaten more than enough to satisfy your hunger and have left others with nothing to eat or drink, then you have partaken in an unworthy manner. Reformed theologians have regularly underscored the relationship between Word and sacraments. The sacraments are appended to the Word for the purpose of confirming or sealing it. The sacraments do not exist independently of the Word. It’s the Word that throws life into the sacraments. Moreover, there is no grace that is unique to the sacraments. The same grace that is received through the Word is also received through the sacraments. So Word and sacraments belong together as “two sides of the same divinely instituted instrumentality,” as Geerhardus Vos put it. Even though Vos did not produce a lengthy treatise on the sacraments, he occasionally addressed the subject in his writings. In a sermon entitled “The Gracious Provision,” Vos has the following to say about the relationship between Word and sacrament. The word and the sacrament as means of grace belong together: they are two sides of the same divinely instituted instrumentality. While addressing themselves to different organs of perception, they are intended to bear the identical message of the grace of God—to interpret and mutually enforce one another…. Let us therefore be careful to key our preaching to such a note that when we stand as ministrants behind the table of our Lord to distribute the bread of life, our congregation shall feel that what we are doing then is only the sum and culmination of what we have been doing every Sabbath from the pulpit. If you’ve ever studied the letters of Paul, you know how difficult they are to understand. Christians in the New Testament era and apparently even the apostle Peter found Paul’s letters “hard to understand” (2 Pet. 3:16). Perhaps, the most difficult letter of Paul is 1 Corinthians. I’ve been preaching through the letter for several months, and nearly every text is a challenge. Lately, I’ve spent a lot of time studying what Paul says about the Lord’s Supper in 1 Cor. 10 and 11. The cup of blessing that we bless, is it not a participation in the blood of Christ? The bread that we break, is it not a participation in the body of Christ? Because there is one bread, we who are many are one body, for we all partake of the one bread. — 1 Cor. 10:16–17. For I received from the Lord what I also delivered to you, that the Lord Jesus on the night when he was betrayed took bread, and when he had given thanks, he broke it, and said, “This is my body which is for you. Do this in remembrance of me.” In the same way also he took the cup, after supper, saying, “This cup is the new covenant in my blood. Do this, as often as you drink it, in remembrance of me.” For as often as you eat this bread and drink the cup, you proclaim the Lord’s death until he comes. Whoever, therefore, eats the bread or drinks the cup of the Lord in an unworthy manner will be guilty concerning the body and blood of the Lord. Let a person examine himself, then, and so eat of the bread and drink of the cup. For anyone who eats and drinks without discerning the body eats and drinks judgment on himself. — 1 Cor. 11:23–29. These passages are rather difficult to interpret, partly because Paul’s use of the word “body” is ambiguous. He uses the word to refer to (1) the historical body of Christ that was sacrificed for our sins, (2) the sacramental sign of that body in the eucharistic bread, and (3) the ecclesiological body of Christ, namely, the church. There seems to be a deliberate play on words when Paul abruptly shifts from using “body” in one sense to using it in another sense. For example, in 1 Cor. 10:16, “body” refers to the historical body of Jesus; in 10:17, it refers to the church. And the link between these two uses of the word “body” is the eucharistic bread (i.e. the sacramental body). This play on words continues in 1 Cor. 11, and it creates some uncertainty (apparently by design) with regard to the meaning of the word “body.” Before eating the eucharistic bread, we must discern the “body,” says Paul, but what is the referent of the word “body” here? Is it the historical body of Christ given in the sacramental sign or is it his ecclesiological body, the church? The context of the passage suggests that Paul has both ideas in view. One Reformed scholar has offered the following helpful summary of Paul’s use of the word “body” in 1 Cor. 10 and 11. Dealing with the problem of food sacrificed to idols, Paul compares the idol feasts and the Lord’s Supper. If idols were real, eating sacrifices offered to an idol would result in κοινωνία [communion or participation] with these idols (10:19–20). Similarly, eating the bread and drinking the cup at the Lord’s Table is (somehow) a participation with Christ; more specifically, it is a κοινωνία [participation] in the blood and the body of Christ (10:16). In addition Paul relates the one bread with the ecclesiological community as one body (10:17). Some exegetes have suggested an identification of the sacramental body of Christ and the ecclesiological body of Christ, implying that the church is literally the body of the resurrected Christ. I see no reasons to do so. The bread as κοινωνία τοῦ σώματος τοῦ Χριστοῦ [participation in the body of Christ] is primarily combined with the cup of thanksgiving as κοινωνία τοῦ αἵματος τοῦ Χριστοῦ [participation in the blood of Christ]. Consequently, Paul refers in 10:16 to the body as the historical body of Christ, given in the death for us. However, in 10:17 ‘body’ denotes the communion of the church. Note that Paul does not say that the church is the body of Christ, he only emphasizes their unity as ἓν σῶμα [one body]. Nevertheless, it is still remarkable that Paul, playing around with words, uses both the sacramental and the communal concept of body. At least he suggests a relationship between communion with Christ and his (historical) body and the communion of the church as one body. The corporate communion of the believers, participating in Christ, is connected with a moment of (Eucharistic) union with Christ. This suggests the importance of a concept of union to refer to this moment. The ecclesiological use of the body-metaphor however says more about the corporate nature of the church than about union with Christ, although this corporate nature results from union with Christ. In 1 Corinthians 11 Paul returns to the theme of the Lord’s Supper. It is used in an unworthy manner: some remain hungry while others get drunk. The Corinthians did not eat together and despised the church of God. The problem is clear: a malfunctioning community. Within this context referring to the Lord’s Supper, Paul emphasizes that we should διακρίνων τὸ σῶμα [discern the body] (11:29). In 11:23–28, Paul refers to eating the bread and drinking the cup. As a consequence, it is reasonable that διακρίνων τὸ σῶμα [discerning the body] refers to the bread in the preceding verses as sacramental body of Christ. However, the logic of the entire passage 11:17–34 necessitates that διακρίνων τὸ σῶμα [discerning the body] refers also to the ecclesiological body. It is undeniable here that Paul again plays with words and uses διακρίνων τὸ σῶμα [discerning the body] deliberately in an ambiguous way, hence relating the historical or sacramental body of Christ with the ecclesiological body. He sticks these two concepts of the body of Christ together on purpose. Laying this semantic relation by deliberate wordplay, he makes clear that those having communion with Christ by eating his body form together at the same time the body of Christ. Again we find a moment of union with Christ. Now the corporate union of the church and the union with Christ are related more explicitly. In 1975, Hughes Oliphant Old published his dissertation entitled The Patristic Roots of Reformed Worship. Old persuasively argues that we have every reason to take Calvin and his colleagues seriously when they claim patristic support for their liturgical ideas. The Reformers deliberately developed their approach to worship by returning, first and foremost, to the scriptures but also to the fathers of the church, whom they regarded as fallible, though generally reliable, interpreters of the bible. Unfortunately, the Reformers did not have at their disposal one of the earliest Christian documents that describes various liturgical customs in the ancient church, namely, the Didache. With the fortuitous rediscovery of the Didache at the end of the 19th century, we have access to a critical resource for doing precisely what the Reformers aspired to do, namely, to reform the church’s worship in light of holy scripture and the customs of the ancient church. My dissertation entitled The Eucharist in the Didache, which you can read here, is a modest attempt at continuing the important work of reforming the church’s worship in light of patristic customs. Oscar Cullmann wrote several treatises on the subject of Christian worship. 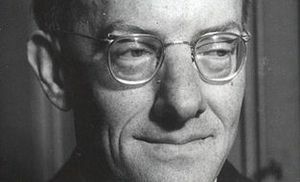 His treatise entitled Baptism in the New Testament was originally published in 1950 and was intended as a rebuttal of Karl Barth’s infamous rejection of infant baptism (see Barth and McMaken). Cullmann treats the subject under the following four heads: The Foundation of Baptism in the Death and Resurrection of Christ; Baptism as Acceptance into the Body of Christ; Baptism and Faith; Baptism and Circumcision.